It's a bit of a slow month this time for Japan, as only two new games will be released. Neither are big surprises: Europe already got one a while ago and the other has already been announced for European release. Both of them are pretty nice games though, so although the offerings are slim compared to normal, at least they're of good quality. Prince of Persia — Arguably the best version of the original American platformer, strangely created by the company behind the Cho Aniki series. 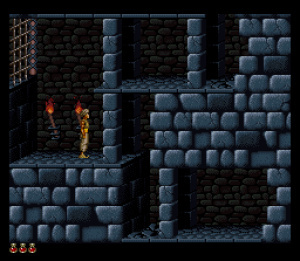 We liked it quite a bit, as our Prince of Persia review will tell you. 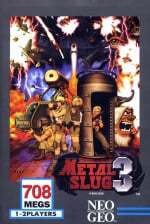 Metal Slug 3 — Skipping Metal Slug X, this one doesn't really introduce anything special, but is still often cited as one of the best games in the series. As we reported a few days back, the next 3DS Virtual Console game Japan will be getting is the Game Boy Color version of Wario Land II, which will hopefully also make its appearance elsewhere soon. I hope they don't go through a drought like the rest of us. Already loved those games long time. I disagree about Metal Slug 3 not offering anything special. Its the first game to add multiple branching paths and really turns the zany wackiness up a notch compared to MS 1 and 2. Super hope Prince of Persia comes out here (NA). Metal Slug 3 introduced many cool new things like underwater action, horizontal and vertical shooter stages, and the best final stage in the series (won't spoil). My fav in the series. Because it has the most action and destruction. Hope Prince of Persia makes it to NA. Metal Slug 3 is an awesome game. Wow, Metal Slug 3? I honestly didn't see that coming. If they do Metal Slug X, that would be extra nice. I can live without the subsequent ones as they just aren't as good. I didn't pick up Prince of Persia because I like the Japanese Wii to be my VC console, so that'll be nice to have as well. I love both games, but I'd rather have them on the 3DS. I suppose it's going to take a long time for SNES games to show up on the 3DS, though. METAL SLUG 3 YES YES YES YES YES !! !